Product prices and availability are accurate as of 2019-04-18 16:31:11 UTC and are subject to change. Any price and availability information displayed on http://www.amazon.com/ at the time of purchase will apply to the purchase of this product. 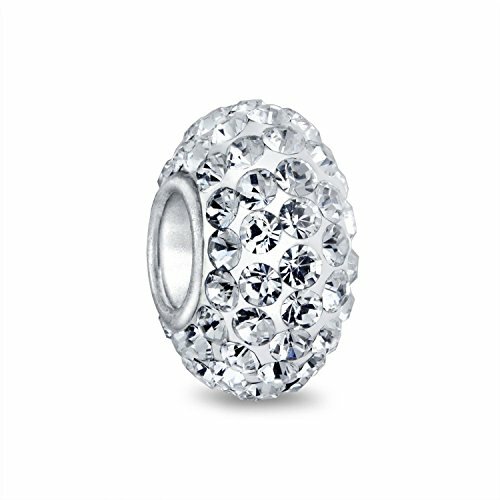 Made from .925 sterling silver and dazzling, clear iridescent crystals, this white crystal bead inspired by Shamballa Jewels will add irresisitble sparke to your bead story. An exciting variety of available patterns will allow you to create your own stylish bead bracelet. 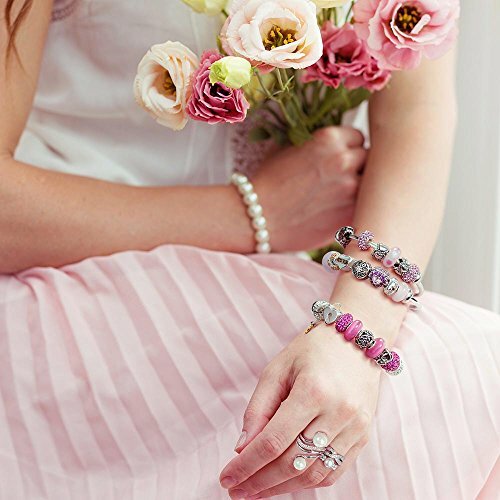 Mix and match our silver charm beads to give your comaptible with bead bracelet the uniqueness you have been searching for. Evocative of illustrious Shamballa motifs, this enchanting charm will add stunning radiance to your bead story. 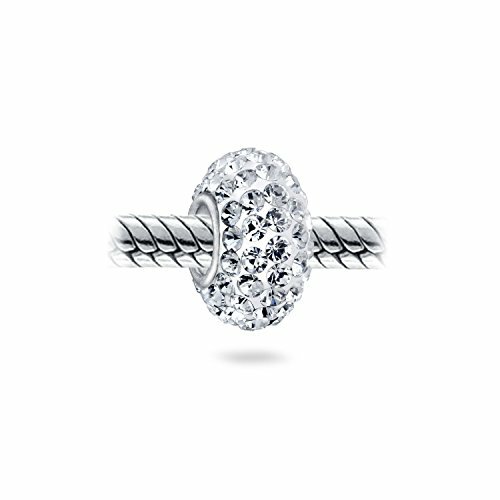 Finished in sparling sterling silver and accented with clear pave crystals, it will make a lovely choice for an April birthday gift. Material: .925 Sterling Silver, Crystal Measure: 11 mm L x 6 mm W, 4.5 mm Bead Core Weight: 1.1 Grams Compatible with Pandora Charms, Biagi, Troll, Chamilia, European Style, Persona, Ohm, Kay's Charmed Memories and More. Fits both necklace and bracelet 3mm or smaller. The Unthreaded Hole Size is about 4.8mm-5mm. Free elegant black velvet pouch, bead make a great personalized gifts for Mother's Day, Anniversary, Wedding, Birthday, Christmas, Valentine's Day, Graduation Gift for Sister, Mother, Mom, Grandmother, Daughter, Wife, Girlfriend, Aunt, Mum, Grandma, Female Friend or Treat Yourself 30 Days Money Back Guarantee combined with world class customer service no question asked. 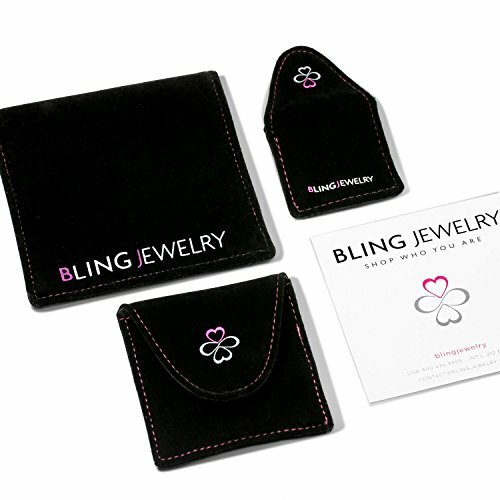 Bling jewelry offers best quality without compromise. We individually inspect each of our products, to make sure you are only getting the very best from us.